We recently did a podcast with Linda Godfrey and talked quite extensively on her forte, the Dogman. 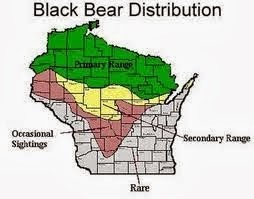 Being that I am very familiar with southern Wisconsin I found it interesting that so many Dogman reports occur there. 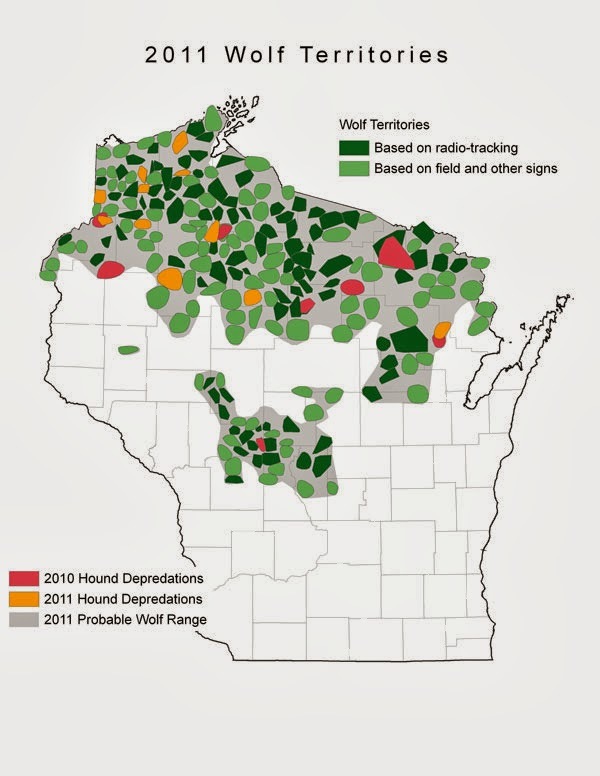 Unlike northern Wisconsin, which has extensive thick forests, the southern part of the state is filled with farms, prairies, cities, and smaller tracts of forest and woods. This area is not that far from Milwaukee or Chicago so I wouldn't think it to be the ideal place for an undiscovered Cryptid to inhabit. Some people will say that the Dogman sightings must be wolves or bears, while others say they are Bigfoots being misidentified. So I decided to put some maps together to show the wolf and bear populations in this state compared to the Dogman sightings. As you can see the majority of the Dogman sightings lie outside of primary bear and wolf territory. So what could these people really be seeing? 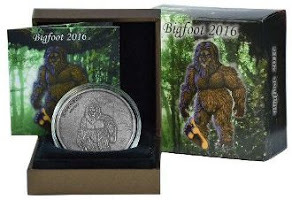 A different type of Bigfoot maybe? Perhaps a new type of canine that can stand and walk on it's hind legs? I guess alls we can really do is speculate, but hopefully some day we will get to the bottom of this mystery, known in Wisconsin as, The Beast of Bray Road.